Choosing the "best" beer can be a tough proposition as everyone has their favorite type of brew. One person's beloved pale ale may turn off the palate of a dark stout enthusiast and vice versa. There are many different types of beers and there's sure to be one among the top rated to please you. Get ready to set up a beer flight and start tasting! This Belgian-style fruit beer was a gold medal winner at the Great American Beer Festival. Created by Refuge Brewery, the second-fastest growing brewery in the state of California, the Blood Orange Wit is their best-selling brew. As the name implies, the beer is made using blood oranges and can be found in California, Arizona and Colorado. Samuel Adams' American Kriek took the "World's Best Kriek" award at the World Beer Awards. A kriek, or kriek lambic, is a type of dry, sour beer that is made with whole cherries and a secondary fermentation process. More recent versions of krieks have been made with cherry juice. The kriek originates from Belgium. The Samuel Adams version gets high praise as an exceptional example of a kriek lambic. Paulaner is one of the oldest breweries in Germany and also one of the most popular German beers worldwide. The Paulaner Hefe-Weissbier Naturtrüb is a traditional hefeweizen, a wheat beer known for a pale golden color that appears cloudy. Paulaner's hefeweizen receives exceptional marks from German beer lovers. Wanderlust IPA received the gold medal for American-Style India Pale Ale at the Best of Craft Beer Awards. It has also been honored with a bronze medal at the Great American Beer Festival and silver and gold medals at the North American Beer Awards. Brewed by Breakside Brewery, a rising star in the Pacific Northwest area, the IPA can be found in several states including Oregon, Washington, Hawaii, Colorado, Arizona, New York, and more. If you're looking for an excellent choice for an Asian beer, consider San Miguel Pale Pilsen from the Philippines. This beer is very popular in its home country and is imported worldwide. It's an award-winning beer that first began production back in 1890. A pilsen is another variation of the pale lager and the name originates from Pilsen, a city in the Bohemia region of Czechoslovakia. Judged one of the top five beers by connoisseur site VinePair, this uniquely flavored stout is a treat for lovers of dark beer. Dogfish Head beers can be found nationwide in 30 different states and they can ship to local distributors by special order as well. The brewery is based in Milton, Delaware. Beers made with coffee are a fairly new entry in the microbrew world and Alaskan Heritage Brown Coffee Ale is a strong contender. The brown ale brewed with coffee receives an overall score of 83 on the Tenemu review site for the modern craft beer industry. Alaskan Beer can be found in 20 states across the western and mid-western regions of the U.S.
Corona Extra is the top-selling imported beer in the United States. 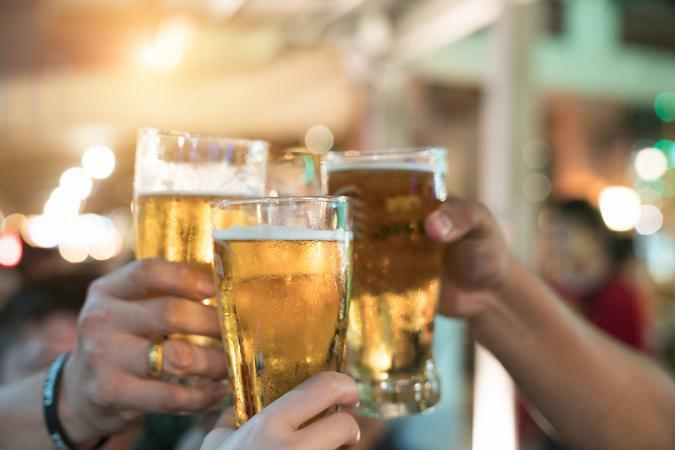 Like best-selling homegrown brand Bud Light, Corona Extra isn't likely to garner high reviews from specialty beer enthusiasts, but it's clearly a favorite among U.S. beer drinkers, especially in the summertime with a wedge of lime. Red Stipe Lager is probably the most widely recognized beer from Jamaica. It's called a "light lager," referring to the coloring of the brew and not the taste. The beer is sold worldwide and is highly recommended by beer lover site Tastings with a silver medal score of 85.